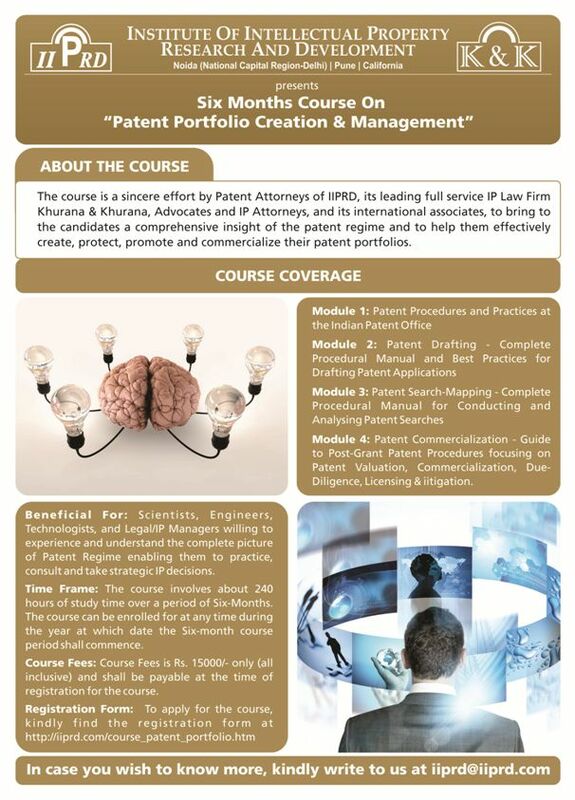 The Course exclusively focuses on Patents with subject matters relating to Patent Preparation, Patent Searching, Indian Patent Act and Practices, and Patent/IP Commercialization and Valuation. The course has been attended by Scientists, Patent Analysts, Patent Attorneys, Engineers, Consultants, and IP Lawyers, among others, from companies such as Philips, Dabur, Cadila, Adobe, Globallogic, Amazon, Cadence, TCS, Infosys, Evalueserve, among many others. Below is a brief snapshot of our leaflet on the course. For any further queries, please write to us at iiprd@iiprd.com.